The private equity group paid $2.6 bln for Aspen Insurance, less than expected. Hurricanes and wildfires have weakened small reinsurers, offering a chance to raise premiums. Even then, Apollo will have to contend with bigger players squeezing prices, and avoid more disasters. 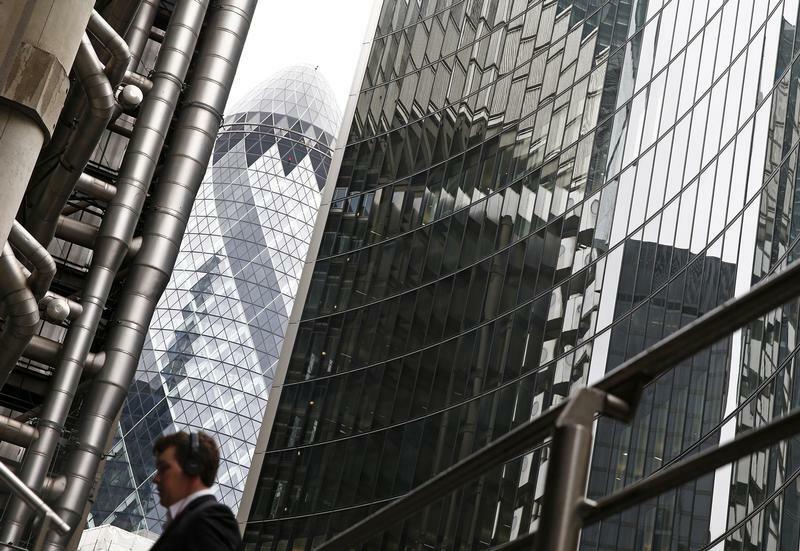 A worker walks past 30 St Mary Axe building, which is known locally as "The Gherkin", as he arrives for work at Lloyds of London February 28, 2014. Aspen Insurance Holdings, a Bermuda-based insurer, said on Aug. 28 it will be acquired by funds managed by Apollo Global Management in a deal valued at $2.6 billion. Apollo will pay $42.75 per share, representing a 6.6 percent premium to Aspen’s closing price on Aug. 27. The deal is expected to close in the first half of 2019, subject to regulatory approval. It comes after a strategic review by Aspen’s board.